More than 1,500 doctors and other health care professionals are calling on the federal government to extend medical coverage to irregular migrants — people living in Canada with uncertain immigration status, usually because of insufficient documentation. The call comes after one woman, Nell Toussaint, took her fight for health coverage to the United Nations. "Nell has gone through quite a lot of suffering," Dr. Arnav Agarwal told CBC Toronto. 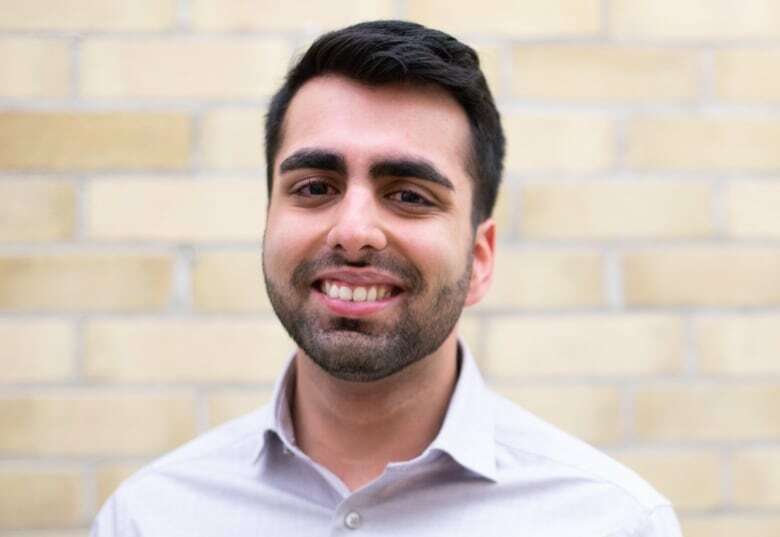 Agarwal is an internal medicine resident at the University of Toronto and one of the doctors hoping to encourage the federal government to change the way it provides health care coverage. Agarwal says Nell Toussaint has dealt with a number of health problems including, diabetes and a dangerous kidney condition called nephrotic syndrome. The 49-year-old native of the Caribbean nation of Grenada has been in and out of hospitals for a decade and because of her immigration status, she's had to pay for treatment. 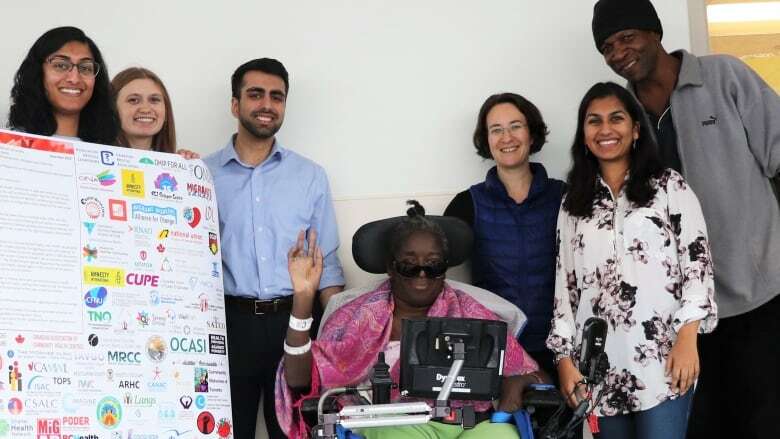 "To the point that when she had several life-threatening conditions, she wasn't able to afford the full work-up for them, she wasn't able to afford the full treatment for them," said Agarwal. Agarwal said Toussaint isn't alone. "We live in a country that prides itself on universal access to health care and at the same time there are up to half a million people in Ontario who don't have basic health coverage," he said. Toussant legally entered Canada in 1999 as a visitor from Grenada. She worked in the country from 1999 to 2008 without obtaining residency status or permission to work. However, some of her employers made deductions from her salary to cover federal and provincial taxes, Canada Pension Plan and Employment Insurance. During this period, she managed to pay privately for medical costs. But as her health deteriorated, she was unable to keep up with her medical bills. In July, the United Nations Human Rights committee agreed that Canada had violated Toussaint's rights by denying her access to essential healthcare. The United Nations gave the federal government 180 days to review its legislation on access to health care. "No matter what others think, everyone has the right to health care," Toussaint said in a written statement to CBC. "Every man, woman and child must have this. We are all human beings." CBC contacted the federal health minister's office but no one was immediately available for comment.